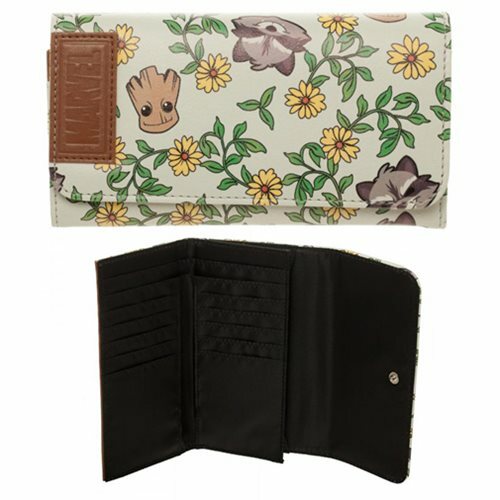 This wallet features chibi versions of Groot and his best bud Rocket Raccoon along with some fun flowers. Inside there's space for your cash, cards, ID and whatever else you need. Secure your space money with the snap closure. Made of with a faux leather exterior and a nylon interior, the Guardians of the Galaxy Groot and Rocket Raccoon Flap Wallet measures approximately 3 1/2-inches x 6 1/2-inches. Ages 14 and up.